Harvard-trained Expert Emily Rose coaches men and women about how to tap into Intuition to become rich. For Superwoman School, Emily discusses how she and her staff love using the hashtag #fucktheformula in the office. (Pardon my French). You see, in a man’s world, we’re told that everybody around us is competition. We need to rise above others. We need to stand above others. We need to assume a physical posture of dominance. Things are linear, ordinal, and vertical. Emily poses a different scenario. With her successful group coaching, she uses a decidedly Feminine, circular model to help her students achieve wealth and success. Emily’s specialty is creating incubators for female entrepreneurs where they learn and grow together. As one is successful, she lifts up the rest of the women in her circle. You learn from one another by proxy and share in the rewards. In these incubators, three to five women all form a group. Emily, as the coach, doesn’t stand above the group. Rather she places herself energetically in the circle WITH her coaching clients. The circle then promotes one another’s growth and business both emotionally, strategically, and financially. They become cogs on a sturdy wheel rather than links on a linear chain. I like to envision this business model as a group of glowing lanterns lifting off into the night sky. And in my own life, lifting others is the best way I’ve been able to rise in my businesses. How can you grow your business by relying on other female entrepreneurs? Do you have the financial resources to join an incubator like Emily’s? Or perhaps can you find other female entrepreneurs in your industry or town who are committed to supporting your growth? Today, write a list of FIVE female entrepreneurs you can reach out to this month. Make it a realtor, accountant, beauty consultant, retail store owner, or even an attorney. Start your tribe of inspiring women who are all committed to each other’s success. In my personal incubator, I have at least ten entrepreneurs I meet with at least every other week to discuss new projects and ways we can support one another on existing ones. If you don’t have a list at the top of mind, take today to research local companies, brands, and thought leaders who may behoove your group. Start a circle of sister entrepreneurs by choosing a meeting place. Start a Facebook Group for your tribe and then schedule a time that everybody can commit to for at least 5 sessions over the next few months. 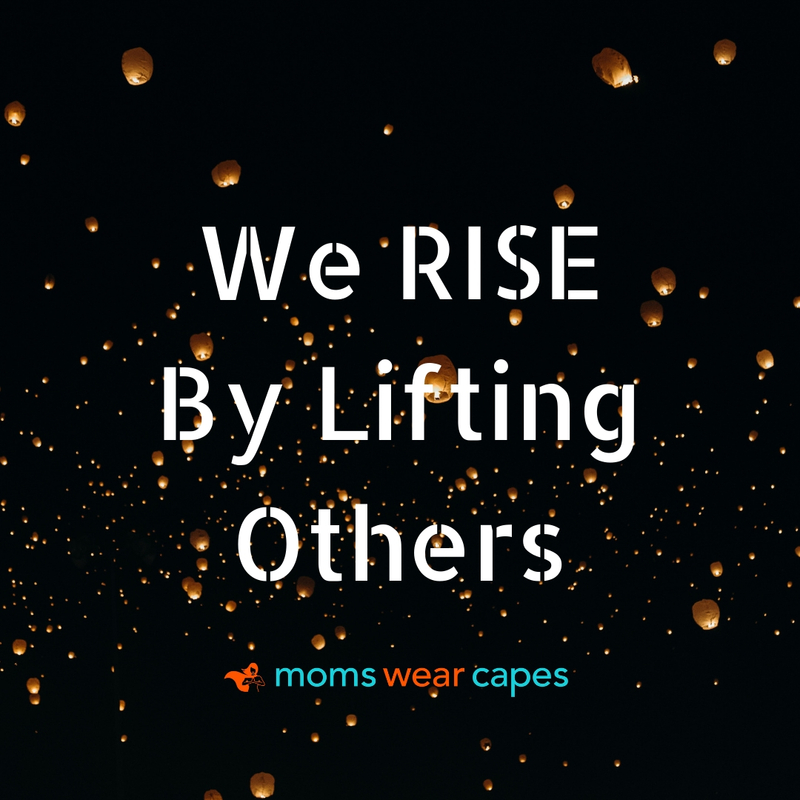 If you want Moms Wear Capes to pair you with other #bossbabe #mompreneurs who thrive by lifting up others, reach out to us at Support@MomsWearCapes.com and we’ll hook you up with women who are looking to head the same place you are – UP! Please let us know how this video makes you feel by sharing on Facebook! !